The P90x Recovery drink is the recommended post workout product in the P90x and Insanity workout program created by Beachbody. The point of drinking it is to help your body recover faster with the end result of giving you better results from your workout sessions. 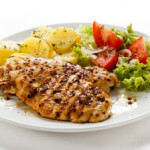 Here is a cheaper alternative from Optimum Nutrition. If quality and effectiveness is what you want, this is a better option. Going back to Beachbody, they used to sell the P90x Results and Recovery drink but have discontinued it even though people seemed to like it. They now sell the Beachbody Performance Recover drink which isn’t rated so well. It comes in various flavors like chocolate and orange. They also have the Beachbody Energize drink which is for pre-workout. In fact, there’s a whole line of Beachbody Performance products. From supplements to protein shakes, Beachbody sells all kinds of fitness related products and because they’re a well-known brand, they can charge extra for their products. It also helps that the instructors of their workout programs who you’ve grown to love recommends the products. If you want to save money and buy similar products that cost less, we recommend Optimum Nutrition instead. 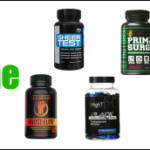 The quality of their products are highly praised by people from every bodybuilding and fitness community. Quality products at cheaper prices, what more can you ask for? They have pre-workout drink, post workout drink, protein shakes, and various other supplements. Just look at the ratings and reviews on their products and you’ll see why we recommend them. There are other good brands out there as well so do your research but you can’t go wrong with Optimum Nutrition. When you’re working out, whether taking supplement or not, drink plenty of water. It will help with your body’s natural recovery process and give you more energy as well. Many people who workout a lot carry a gallon was water around to make sure they drink it all by the end of the day. If you want to save money on supplements like shakes and powders, read the ingredients and find brands with similar stuff. Also look at the serving size and amount in a bottle. Some may be a bit more expensive but will last you twice as long. For many workout products, Optimum Nutrition usually has one of the best deals in terms of how much you get for the price as well as being high quality.